"Jennifer's guidance and meditation classes have brought me a great sense of peace, stress relief and healing. 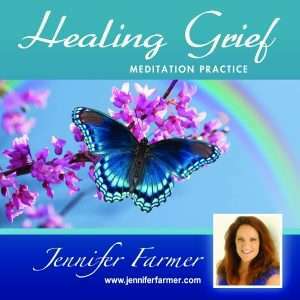 2008 was a rough year on my family but with the help of Jennifer's guided mediations, my husband and I were able to cope, grow together, navigate through our grief and move forward in a healthy, spiritual way. Her classes have led me down a path to a deeper, more spiritual level, and meditation is something I have come to need in my life and look forward to. Jennifer truly is a benefit to anyone who is seeking healing from grieving, illness, physical pain, emotional struggles, etc." Signing up for a Workshop? Please read Booking and Scheduling information. Jennifer is an exceptional teacher and spiritual guide. She is devoted to helping you reach your highest potential. She accesses her intuitive strengths to assist clients to move forward in specific areas of their life. She customizes mentoring based on the individual. She mentors clients in spiritual, self intuitive development, emotional balance, professional advancement and psychic/mediumship discovery. To request a mentoring session please contact Jennifer. Journey with Jennifer to discover your higher self. Do you want to know what your gifts are and how to use them? Jennifer is offering development classes in Tampa Bay, Florida, and the DFW Metroplex. This is a great opportunity to explore all of your unlimited potential and practice in a safe environment. The classes are small which allows more time for feedback and practice. Contact Jennifer and make your reservation today. See Calendar for upcoming dates. 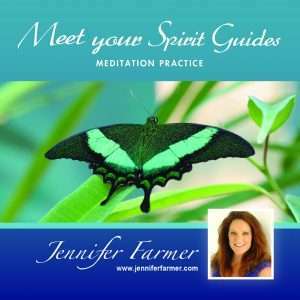 Jennifer now has professional guided meditation cds available to assist you in your meditation practice at home. Click here for more information. Jennifer, thank you so much for a wonderful workshop. I am still on a high from the experience. I was sharing it with a friend so there will two of us for the March 19 meditation session, if that is ok with you. Regardless of where you are on your journey, you want Jennifer Farmer as part of your guidance team. Her gentleness and amazing insight will help you gain focus and confidence in your skills and ability. Any session with Jennifer ? Priceless!! PS I used your CD this morning for meditation starting with the 14 minutes and can’t believe how quickly the time flew.